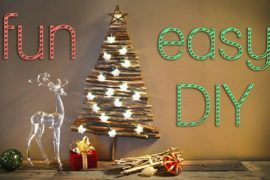 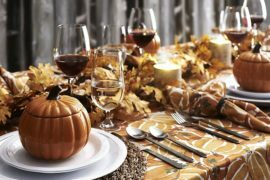 We are just a couple of days away from Thanksgiving and yet because of the busy lifestyle that keeps us constantly on our toes, we barely have time to get things ready for the big day. 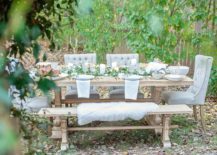 So we constantly look for ways in which we can give our home a quick makeover without having to spend too much time on the transformation itself. 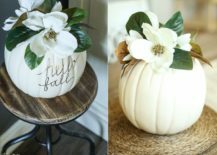 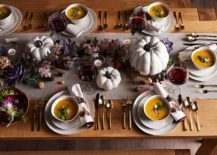 Yes, buying a few quick decorative pieces works just fine, but adding your own personal touch with DIY additions and smart Thanksgiving table setting ideas makes the evening even more special. 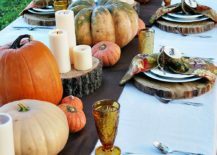 That is exactly why we have rounded up for you some of the best and the easiest Thanksgiving crafts and ideas around along with table settings that are bound to steal the spotlight! 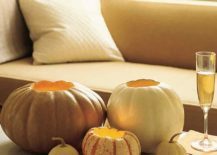 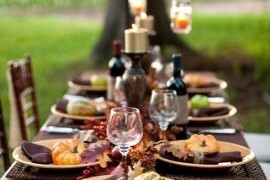 This Thanksgiving move away from the mundane and make it a bit more special! 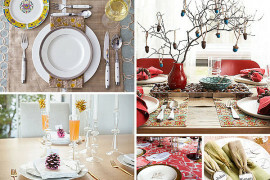 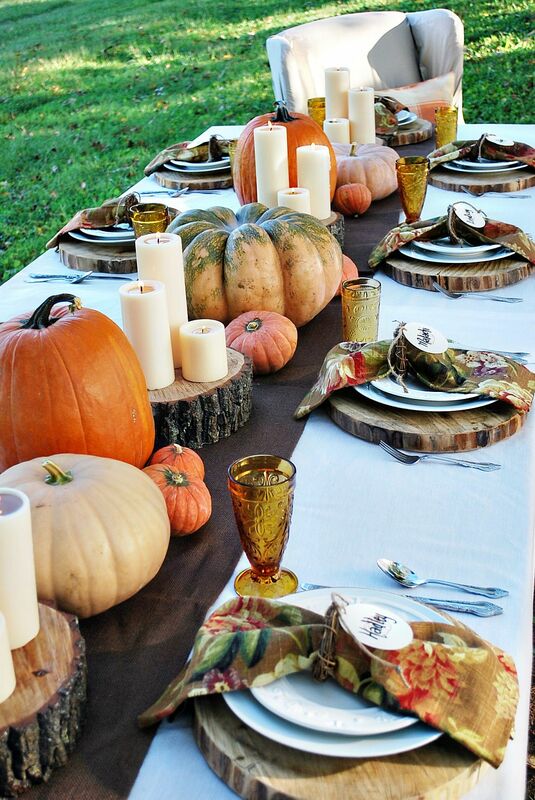 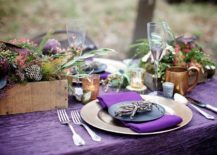 Irrespective of the style and color scheme you are shooting for, this collection of Thanksgiving tables, crafts, wreaths and a whole lot more will ensure you have the perfect start to the long and lovely Holiday Season ahead – a time that we all look forward to with plenty of excitement each year. 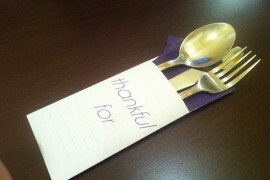 So, delve in, pick up the idea you feel is the easiest or the best and make your Thanksgiving even more memorable! 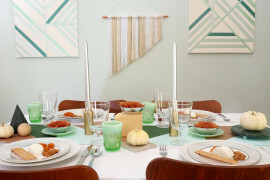 We start off where we absolutely need to and if you have time for pretty much nothing else, then make the Thanksgiving table the priority for the next few days. 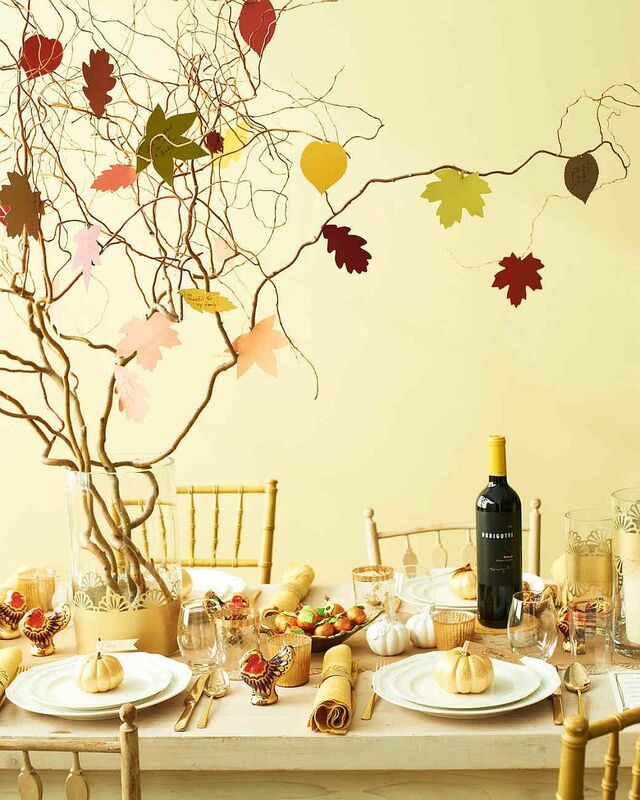 This is the heart and soul of the evening (for most of us at least) and the perfect Thanksgiving dinner needs a backdrop that matches its festive sumptuousness! 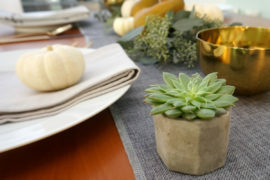 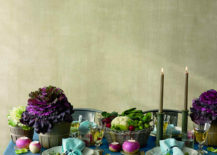 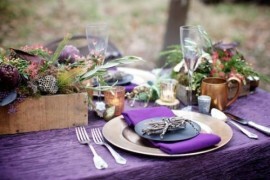 Thanksgiving tables can embrace different styles; from the extravagant and opulent to the understated and the minimal. 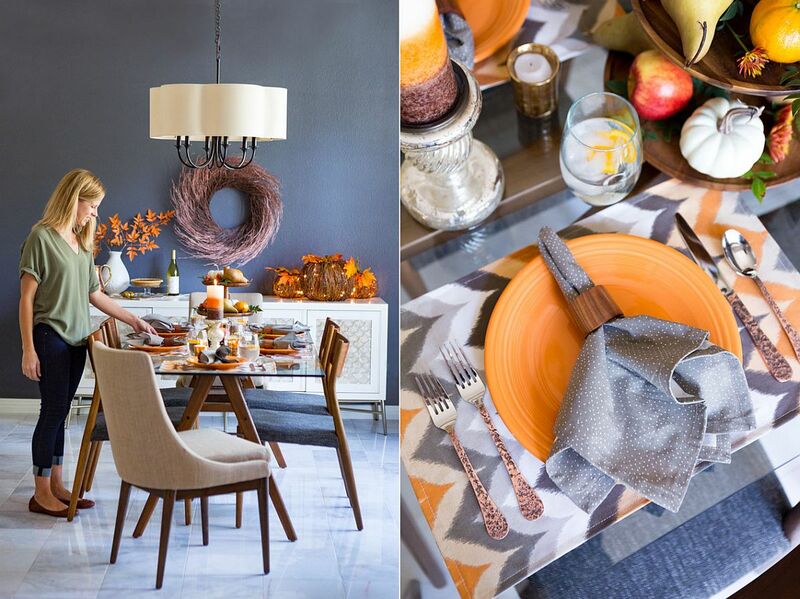 Pick a color this year and make it the central focus of the decorating theme. 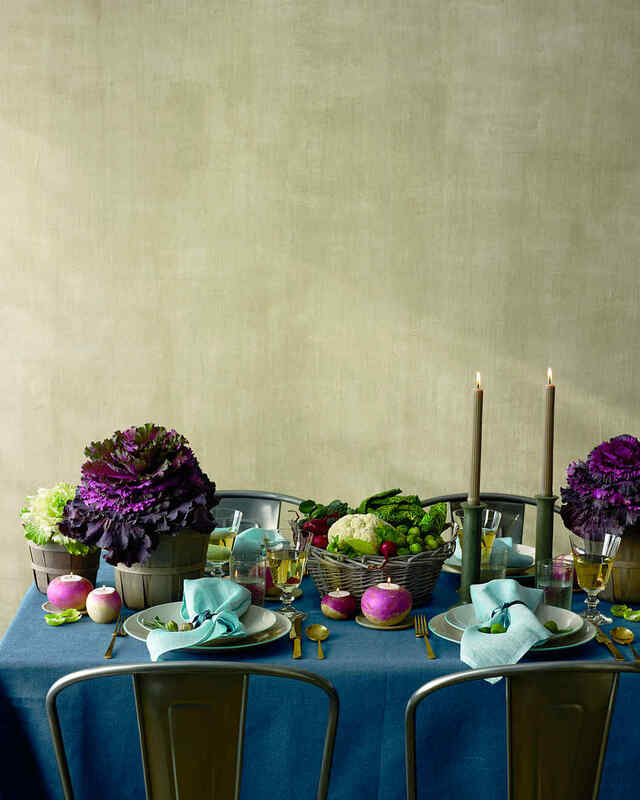 It can be anything from trendy and regal purple to white and gold. 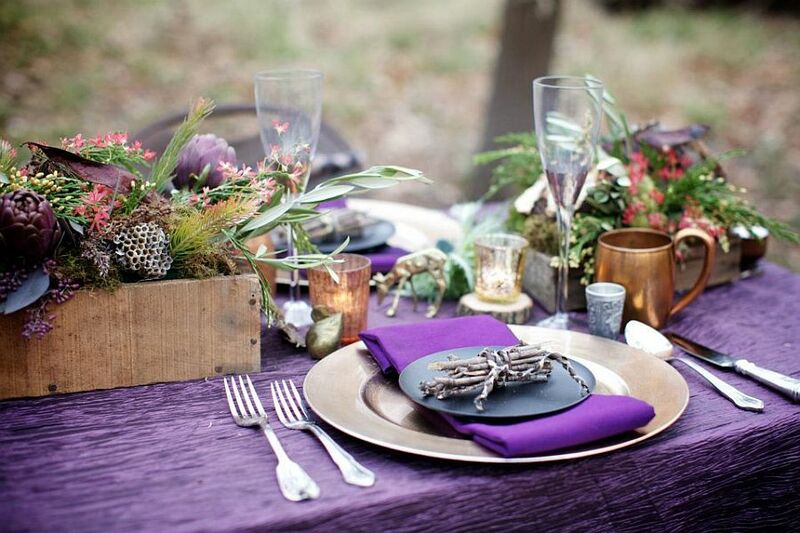 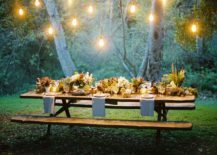 You can even go down a more rustic route or even take the Thanksgiving table outdoors for a magical evening. 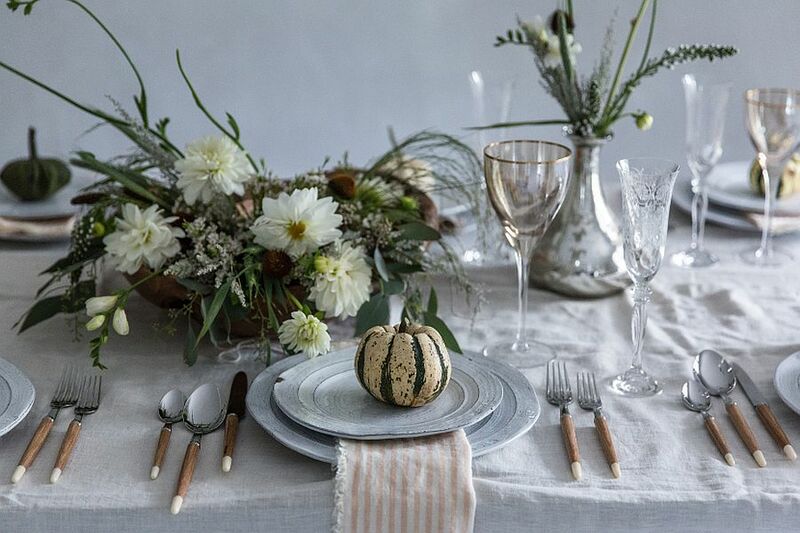 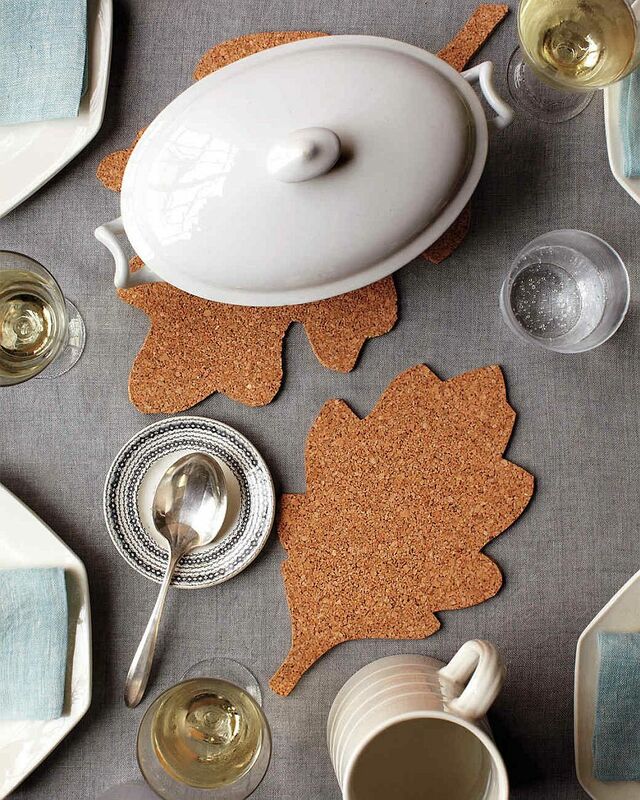 Thanksgiving table embraces winter white even as fall is in full swing! 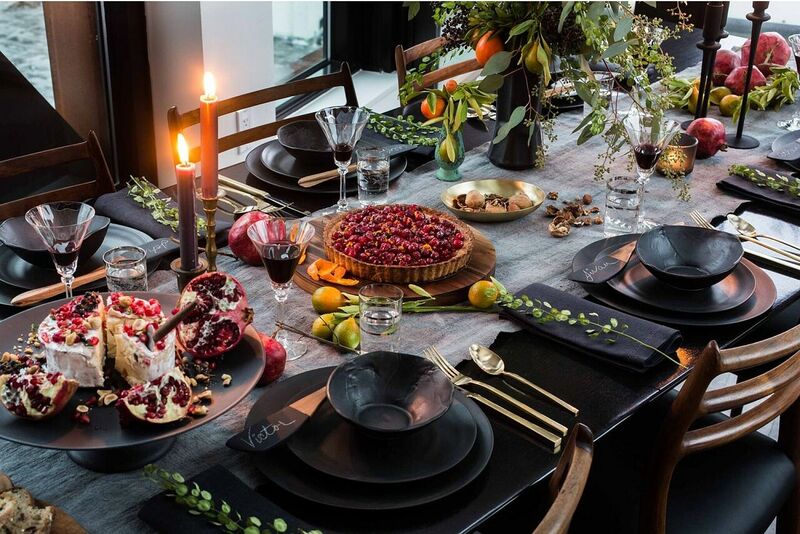 Thanksgiving table idea for those who love black! 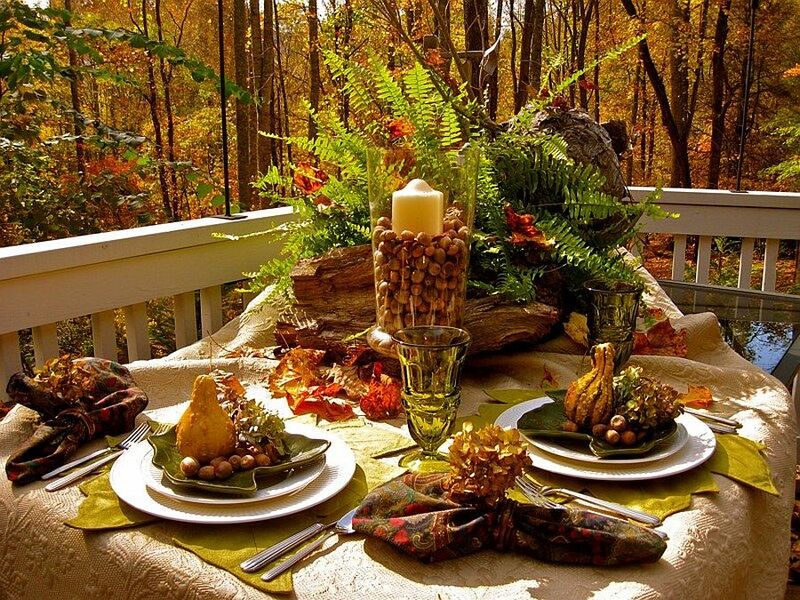 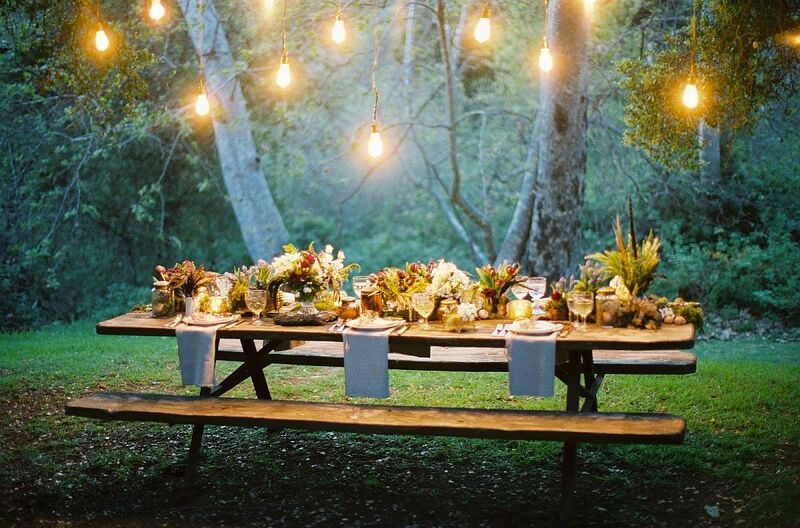 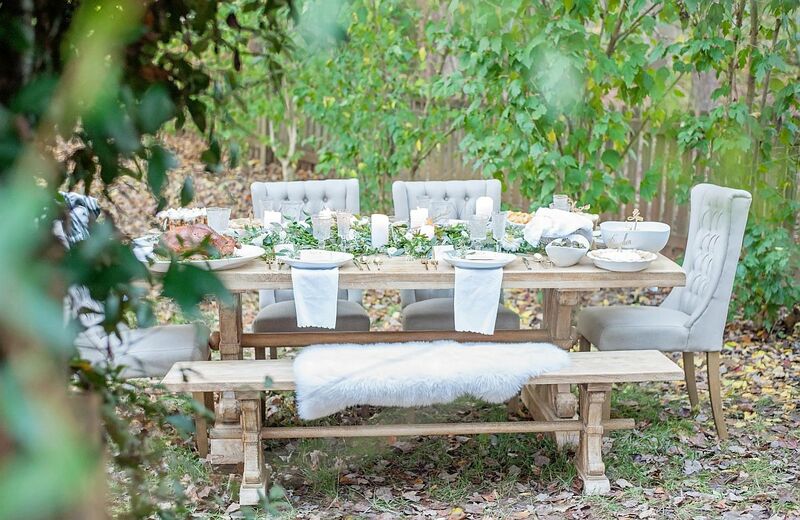 Outdoor Thanksgiving dinner party can be truly magical at times! 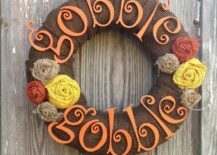 No festive occasion is really complete without at least a wreath or a banner that tells everyone that the holiday is just around the corner. 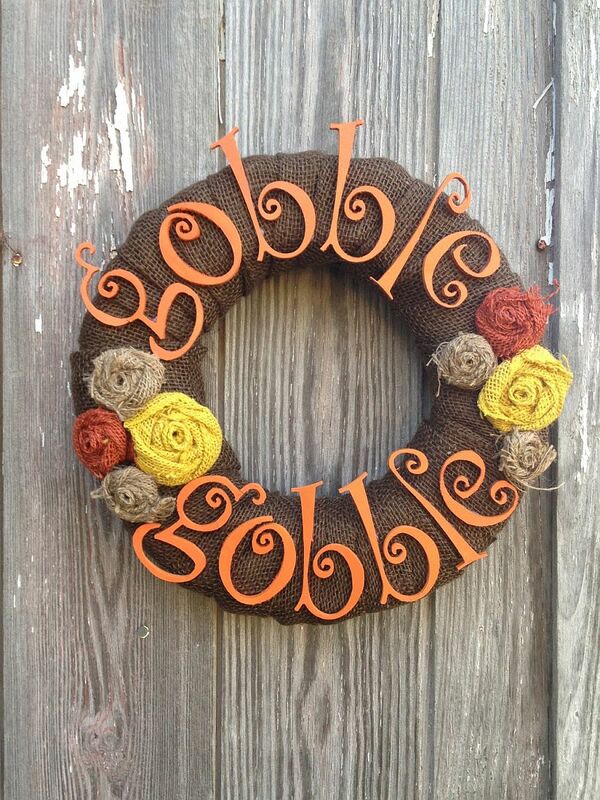 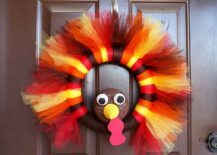 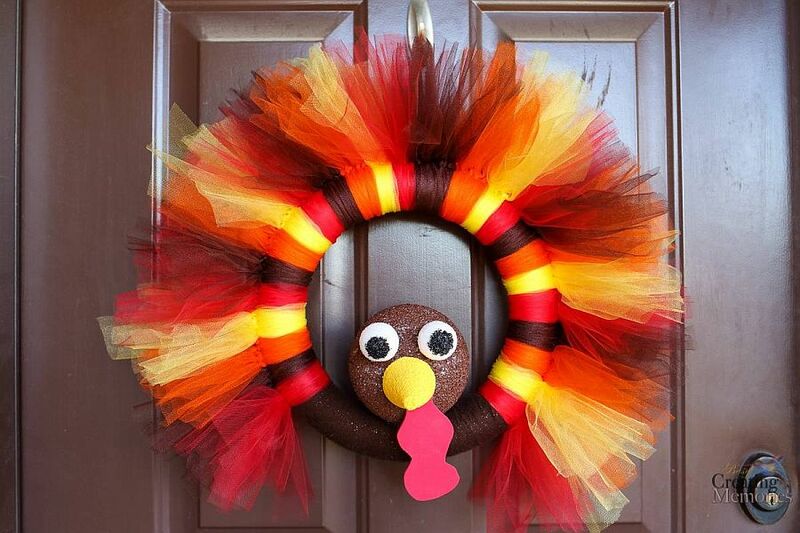 The Thanksgiving ‘Gobble Gobble’ wreath idea is something that puts a smile on everyone’s face while the colorful and vibrant Turkey Tulie wreath is just super-easy to craft. 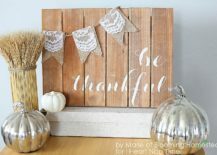 A large wooden signboard that says ‘be thankful’ feels even more impressive when you add neon lighting to it while garlands and banners with fall leaves fit into any Thanksgiving setting with ease. 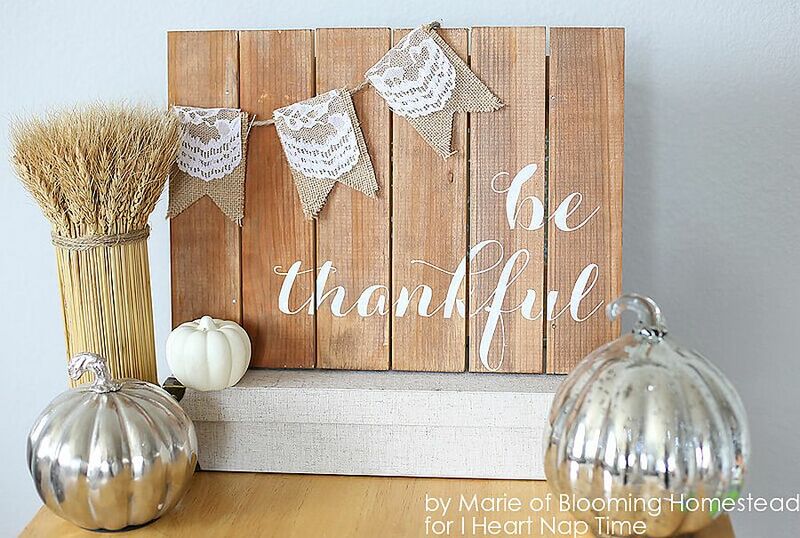 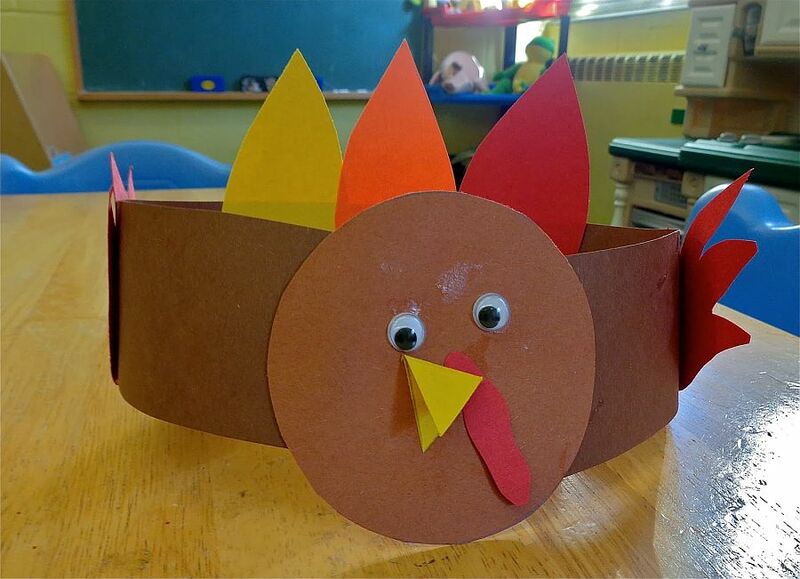 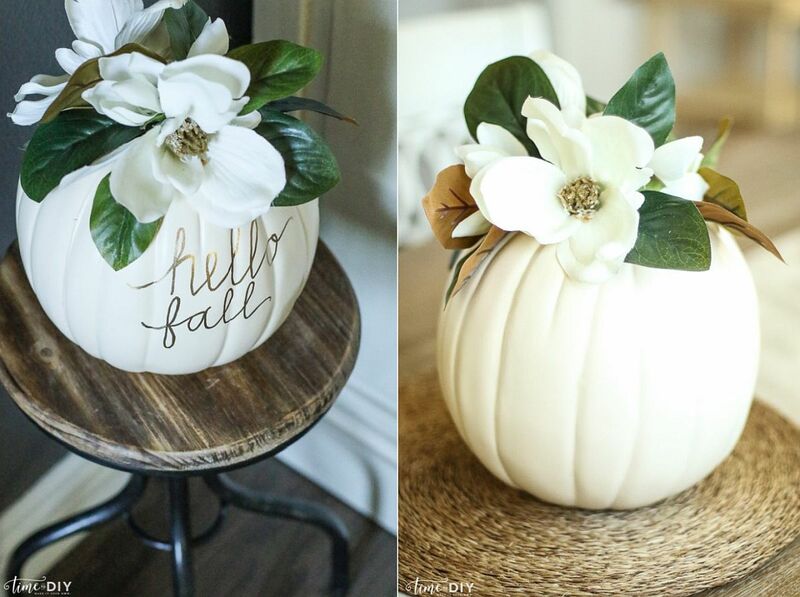 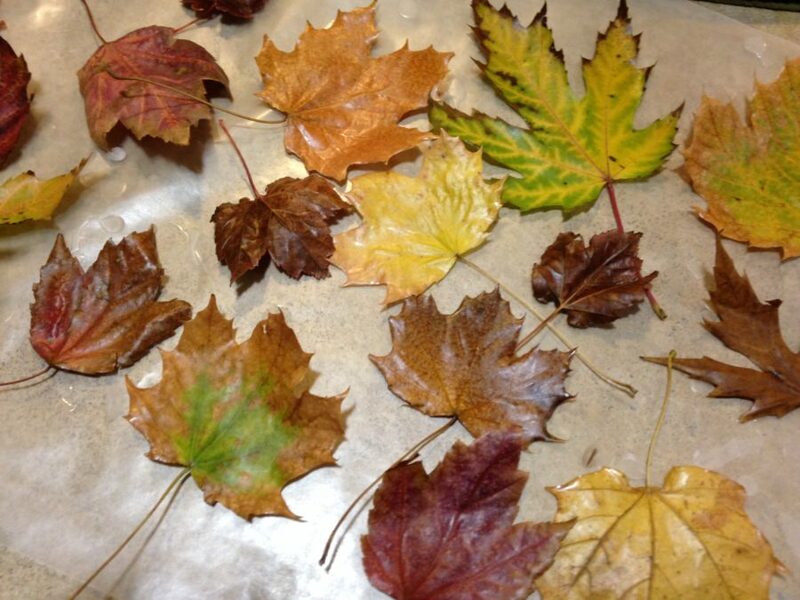 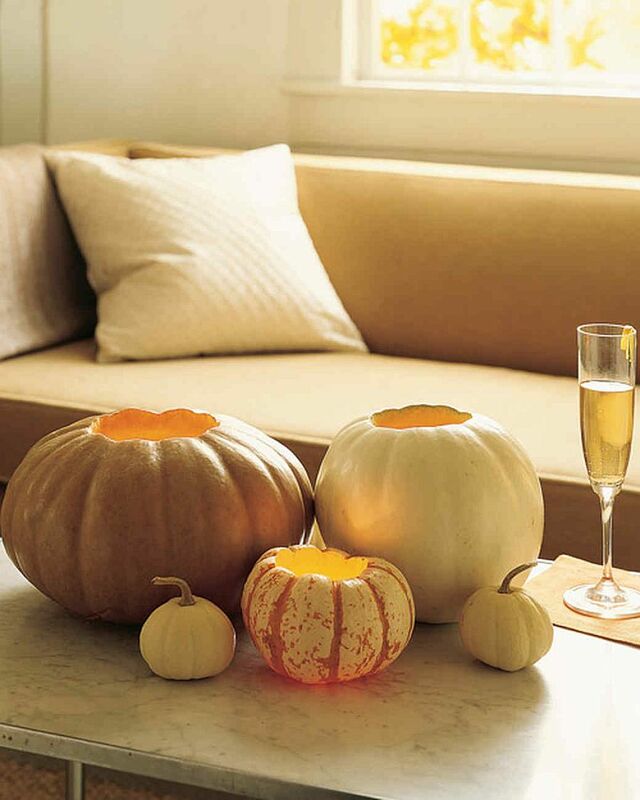 Finally, we get to some of the easiest Thanksgiving DIY ideas that you will ever find. 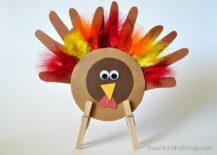 These are so easy that you can actually ask your kids to get them done while you sink into preparing the perfect Thanksgiving feast and setting a gorgeous table. 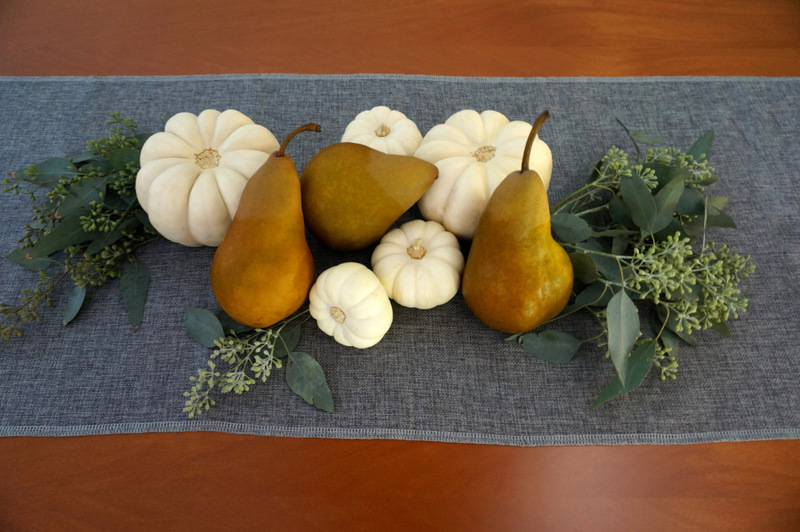 The DIY Thanksgiving placemat idea is one that will put a smile on the face of your guests while the Thankful tree is something that brings the family together and reminds us all of the things that we take for granted in our lives. 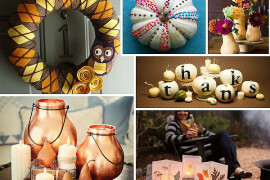 Be it the DIY bottle cap turkey rings or the easy to cut, fall-inspired placemats, all these crafts add to your Thanksgiving celebrations in a functional fashion.